Grizzly Man (2005) – dir. Werner Herzog | Films Like Dreams, Etc. 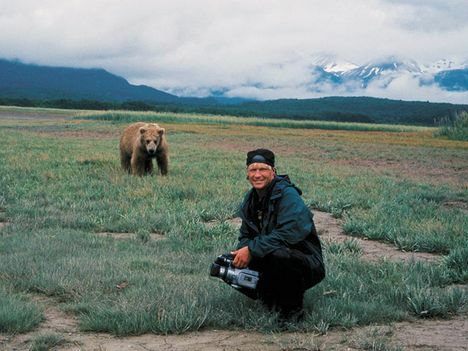 Timothy Treadwell is a very fascinating individual, and Werner Herzog shows this very well. His choice of lifestyle to live among the grizzly bear population is all too easy to criticize, yet in ways it’s also incredibly admirable. The first half of this documentary invites us into the mind and kind-hearted spirit of this individual, whose absurd vision is met with an untimely, tragically ironic death. The second half is considerably darker, as Herzog shares his own judgment of Treadwell’s vast misunderstandings of how human-animal relations should be performed. Guiding us through Timmy’s story are clips from the collection of video recordings made by himself during his journey. During these clips, I felt a close affinity with the individual. Though undeniably eccentric, it is his oddball demeanor that I find so charming. Moreover, it is his perseverance in his exhibition that I admire so much, as not very many of us could state that we worked as strenuously for something that we love. At a certain point, Herzog is invited to listen to the audio recording of the gruesome moments of Treadwell’s death. His traumatized reaction is chilling, and his refusal to include the audio during any part of Grizzly Man‘s observation keeps viewers at a distance from the subject. Letting our imagination fill in the pieces of what the audio could have sounded like creates a more horrid picture of his death than reality could ever amount to. 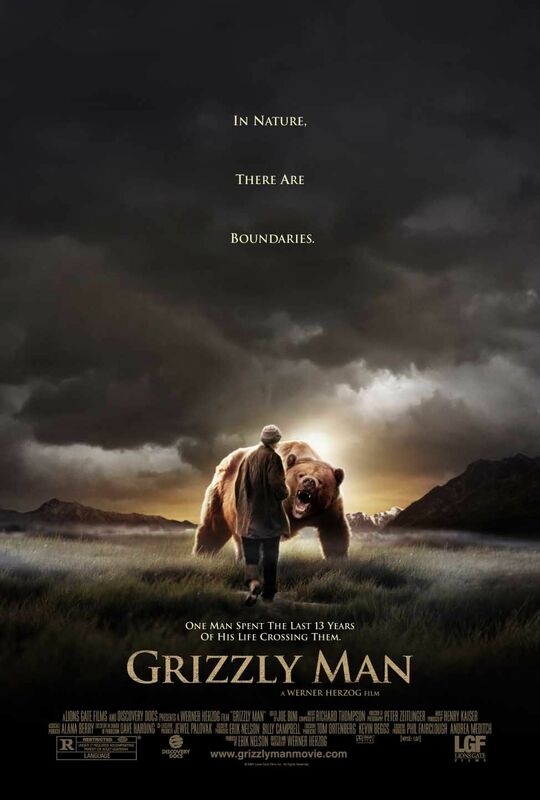 This entry was posted in Reviews and tagged 2000's, documentary, Grizzly Man, Werner Herzog. Bookmark the permalink.